No matter how savvy a saver you are, you may suddenly find yourself facing unexpected costs. 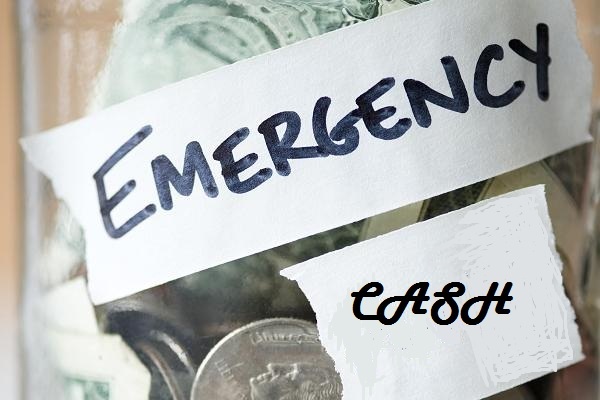 Instead of dipping into your hard earned savings, or panicking that you won’t be able to raise the funds, why not try to make some emergency cash? Taking this approach will help you to deal with each financial issue individually, instead of letting your debts pile up. No matter how impossible your situation seems, there will always be a solution! Sit down with a pen and pad, take a deep breath, and consider your options carefully. Below are four ways to earn cash in an emergency, hopefully they will provide you with some inspiration. If you want to make money, the first place to look is in your own home. Do you have any unwanted possessions that might hold some value for someone else? The upcycling of old furniture is very popular in interior design right now. This means that even the shabbiest pieces of furniture can still make you money. Do some research before-hand, and work out which platforms will be the best for you to sell your items on. If you are in a real rush to make some cash, offer the most competitive price you can manage. If you are selling on sites like Craig’s List or eBay, you can make it clear in the description that you are looking for a quick sale. Completing free surveys online is a fantastic way to make money in the comfort of your own home. Most individual surveys won’t make you a lot of money. However, if you fit in multiple surveys in one day, you can earn a considerable amount. Some websites allow you to progress to more lucrative surveys once you have shown your capabilities. If you often find yourself in a financial predicament, you should maintain your presence on these websites so that you will have access to the most rewarding surveys in the case of an emergency. You can sell your diabetic test strips online and get quick cash. All you need to do is register, send in the details of your order, and mail the test strips using a free-postage kit. If you have access to PayPal, you can receive your payment in 1 business day. Not only will this help your bank balance, it will also help others. The test strips will be resold to uninsured, of underinsured, diabetic patients, at a price that they can afford. If you are a creative type, why not use this to help your finances? Selling homemade goods is a fantastic way to make money. Try to keep your costs as low as possible. Then, use a large mark-up to increase your profits. Home baking is a clever way to do this. The necessary ingredients may already be in your kitchen cupboards. If not, try to start with simple recipes that are guaranteed to appeal to your clientele.